The origin of the name Oesewalum has been the subject of discussion for many years, J. K. Wallenberg in his “The place-names of Kent” published in 1934, believed the name to derive from ōs or ēs; a deity/deities or semi-deity/deities and walu; a bank or ridge, giving a literal meaning of the ridge or bank of the god(s). Wallenberg appears to be the first scholar to identify Osewalum as being the modern Easole in Nonington. This identification is now something I would question and I will state my reasons for this later in this article. Oesewalum would therefore seem to have lain on the south-western boundary of the Hundred of Eastry and the south-eastern boundary of the Hundred of Wingham, and therefore would have been a part of the early kingdom, later a sub-kingdom, of Eastry [East rige-eastern province] which was absorbed into the larger Anglo-Saxon Kingdom of Kent. After two centuries or so as one of the seven most powerful kingdoms in England (the Heptarchy) the independent Kingdom of Kent went into decline in the later part of the eighth century and eventually became a province of the Kingdom of Wessex around 825. Towards the end of the eighth century Oesewalum, or at least some land there, was held by Earl Aldberht (also: Ealdbeorht, Ealdberht), and his sister, Selethryth (also: Seleðryth ,Seleðryð), Abbess of Minster on Thanet and Southminster (also:Suthminster-Lyminge Abbey at Lyminge in Kent) The estate had either been inherited from their father, a Kentish noble and land-owner, or granted to them along with other extensive estates by King Offa of Mercia for their support in quelling a Kentish revolt against him during the mid-780′s. Aldbert is recorded on some documents as being a minister or advisor to Offa. According to an ancient legend, Ermenburga sent her tame deer on a free course, and the path the animal took determined the boundaries of the monastic lands. The deer has become the symbol for Minster, and the early abbesses of Minster are often pictured with a deer. St. Theodore, Archbishop of Canterbury, consecrated the new monastery in 670, dedicating it to the Blessed Virgin Mary. Ermenburga, now known as Domneva, became the first Abbess. [From The Benedictine Nuns of St Mildred’s Priory, Minster Abbey, Minster-in-Thanet, Nr Ramsgate, Kent, UK]. In her role as an abbess Selethryth had become involved in some disputes with Wulfred (also Uulfred), who had become Archbishop of Canterbury in 805. These disputes most likely concerned who had authority over various monastic houses, and to resolve these disputes she agreed around 805 to grant the estate at Oesewalum to Wulfred with the grant entailing the Archbishop’s possession of the estate after the deaths of both her and her brother, Aldberht. Selethryth is believed to have died soon after the grant, but Aldberht lived on for many years and eventually entered the monastery at Folkestone, dying there around 820. After Aldberht’s death his and Selethryth’s interests were inherited by Oswulf, a kinsman of theirs who later became an earldorman. An earldorman was a high ranking official who represented the king’s interests. Oswulf seized the deeds to Oesewalum and took them to the Southminster [Lyminge] Abbey and gave them to Cwoenthryth, who had succeeded Selethryth as the abbess of the Abbeys at Southminster and Minster. Cwoenthryth was the daughter of Coenwulf(also Cenwulf, Kenulf, Kenwulph), King of Mercia and overlord of Kent, who was at this time involved in a long running dispute with Archbishop Wulfred over whether laymen or clergy should control religious houses. As the King of Mercia’s daughter Cwoenthryth was an ambitious woman and with the authority she inherited from her father she became very influential within the Kingdom of Kent. She was therefore able to retain possession of Oesewalum for some four years or so under the protection of her father and then Cwoenthryth, Coenwulf’s brother, who had succeeded to the Mercian throne in 821. 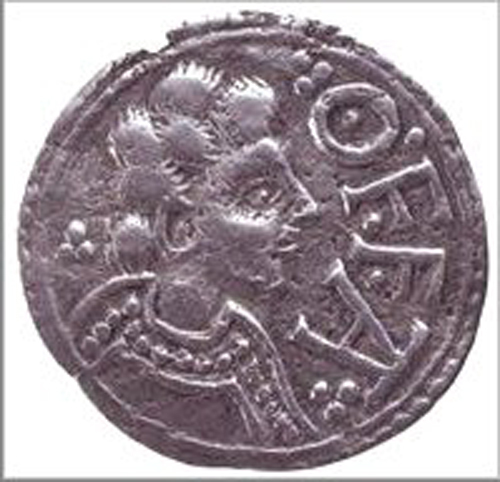 Cwoenthryth’s reign was short, he was overthrown in 823 by a Mercian nobleman, who made Baldred (Bealdred), possibly one of his Mercian kinsmen or a close associate, King of Kent. In 825 Beornwulf went to war against Ecgberht, King of Wessex, who defeated Beornwulf at the Battle of Ellandun and ended Mercia’s supremacy over the other kingdoms of the Anglo-Saxon Heptarchy. 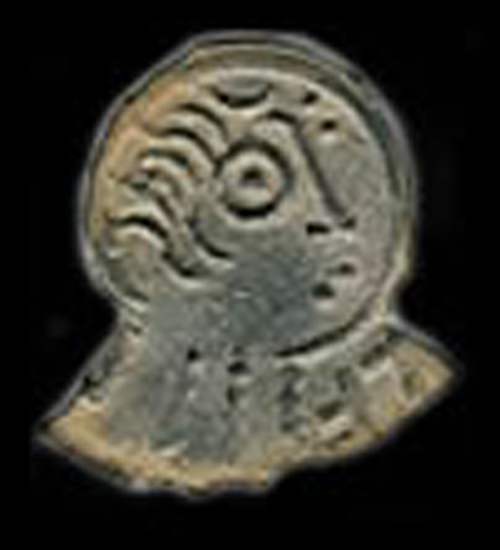 Ecgberht, King of Wessex from 802-839. Ecgberht then proceeded to take control of the Mercian dependencies in south-eastern England. In 826 he sent Æthelwulf, his son, to invade Kent and drive out Baldred, its pro-Mercian king, and bring Kent fully under the control of Wessex. In 829 Ecgberht defeated Wiglaf, King of Mercia, taking control of Mercia and ruling it directly, but Ecgberht was unable to maintain this dominant position and within a year Wiglaf had regained the throne of Mercia. However, Wessex retained control of Kent, Sussex, and Surrey and these territories were given to Æthelwulf, Ecgberht’s son, to rule as a sub-king under his father. When Ecgberht died in 839, Æthelwulf succeeded him and the south-eastern kingdoms were absorbed into Wessex after Æthelwulf’s death in 858. The loss of her family’s protection proved very detrimental to Cwoenthryth in her dispute with Wulfred. Beornwulf, her uncle’s usurper, agreed to resolve the dispute over ownership of various manors and estates between Cwoenthryth and Wulfred at the Councils or Synods of Cloveshoe of 824 and 825 but the dispute was not fully resolved as Cwoenthryth withheld payments due to Wulfred and the property was not properly in Wulfred possession until around 827. Oesewalum, referred to in the subsequent charter as Oesuualun, was one of the estates returned to Wulfred and which he continued to own until his death in 832. Cwoenthryth was compelled to give up the offices she held and she subsequently disappears from view with no known record of when she died. An English princess called Kwenthrith, said to be based on Cwenthryth, and played by Amy Bailey appears in the second to fourth seasons of the History Channel historical adventure drama series “Vikings”. Archbishop Wulfred left a large property portfolio to his kinsman, Werhard, with the specific instruction that Werhard should in his turn leave the property to Christ Church, Canterbury. Werhard is recorded having become “priest-abbot” of Christ Church in the 830’s and continued to preside over Christ Church until around 845. Werhard’s will, written in 830, recorded the details of charitable endowments founded by Wulfred to provide for the poor in various manors that he owned along with Wulfred’s instructions to continue with these endowments. The number of beneficiaries varied from manor to manor, at Oesewalum [written as Oesuualun in the will] seven poor people were to be beneficiaries under provisions which specified that “to each one be given daily to eat what may be suitably sufficient and annually to each poor person for clothing 26 pence”. In Werhard’s will Oesewalum is said to be ten hides of land, nominally some 1,000 to 1,200 modern English acres. The will does not specify who these poor people were, so they could possibly be of any age. If the poor persons referred to were heads of household they would presumably be given enough food to feed their dependents making it possible that upwards of thirty-five people were in daily receipt of food. This would indicate that Oesewalum was a very productive estate and well able to supply the daily bounty to the poor. The Archbishop also required that a mass be celebrated for his soul every day and that on his anniversary 1,200 poor persons should each be given a loaf of bread, some cheese or butter and one penny. This annual bequest amounted to £.5.00 in total, a large sum at a time when an acre of land could be bought for four pence. After Werhard’s will of 830 there are no known further references to Oesewalum. Christ Church was given the Manor of Wingham in the late 830’s by Æthelstan, made King of Kent in 839 by his father, King Æthelwulf of Wessex. At the time of the acquisition Werhard was “priest abbot” of Christ Church, and remained as such until his death sometime around 845 when his inherited property was passed on to Christ Church and the estate at Oesewalum was apparently absorbed into the Manor of Wingham and remained a part of it until the manor came into the possession of King Henry VIII some seven centuries later. The settlement and church at Oesewalum: the origins of Nonington. St. Mary’s Church appears to have been built in the original manorial settlement that became Nonington proper and it is likely that a chapel had been founded there during the ownership of Oesewalum by at least two abbesses of the Benedictine Abbeys of Minster on the Isle of Thanet and Southminster at Lyminge from the late eighth century onwards, namely Selethryth and Cwoenthryth respectively. Both abbey churches were named after St. Mary the Virgin, the same saint to whom the present Nonington church is dedicated. The abbesses ownership of Oesewalum is almost certainly the origin of Nonington or Nonnington which evolved over the centuries from Nunningitun, recorded circa 1070, which itself evolved from Nunn-ingtūn. This name for the settlement at Oesewalum would have come from the Old English “nunne”; which itself derived from the Ecclesiastical Latin “nonne”, and “ingtūn”; the nuns farm, village or estate. The prevailing widespread current opinion amongst place name scholars is that “ing” is a singular suffix which, when paired with “tūn”, meaning a farm, village or estate, had an associative function, i.e. “called after”, which in this case is the nuns of the two abbeys. The manor of Oesewalum would have been administered on behalf of the abbess by a manorial steward and his house would have been the focal point of the settlement and possibly eventually became the site of the chapel that became St. Mary’s Church. (The original Latin text was “Apud Hergan .v. pauperes; apud Otteford .v. ; apud Cliue .ii. ; apud Grauenea .ii. ; apud Oesuualun .vii. ; in ciuitate Dorobernia .vi. Unicuique detur cotidie ad manducandum quod conuenienter sit satis et per annum cuique pauperi ad uestitum .xxvi. 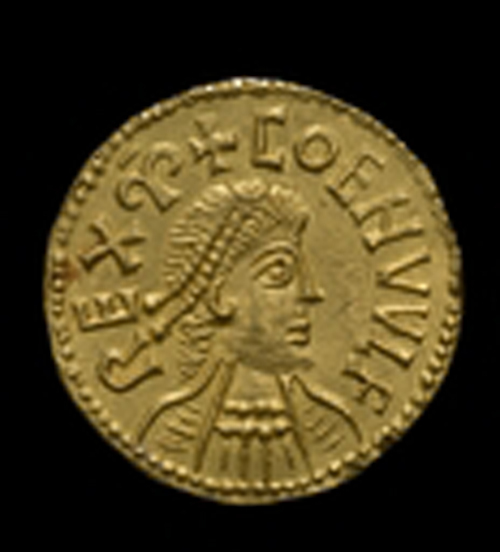 denarii.”). In order to distribute “enough to eat be given each day as is convenient” to the seven paupers at Oesewalum /Oesuualun the food must have either been brought in from Christchurch Priory or one of its other estates on a regular basis, although not necessarily daily, or there must have been a local source of supply. Werhard’s will records Oesewalum [Oesuualun] as extending to 10 hides and the revenue Werhard derived from the holding would therefore have been more than able to adequately provide the specified bounty. A hide was the nominal amount of land required to keep a family for a year and was used for taxation. In East Kent a hide would probably have measured some one hundred to one hundred and twenty modern acres, depending on the quality of the land. The daily ration would have to be distributed and the most logical place to distribute this would be the manorial steward’s house, either by the steward or another servant of Christchurch. As it was an ecclesiastical manor this may then have led to a small chapel being established which by the 1070’s had become the origin of the present St. Mary’s Church. However, it is more likely that any chapel at “Nunningtūn” pre-dated either Wulfred’s or Christ Church’s possession of the estate, with it having been founded during the ownership of Oesewalum from the late eighth century by the Benedictine Abbeys of Minster on the Isle of Thanet and Southminster at Lyminge as both abbey churches were named after St. Mary the Virgin, the same saint as the present Nonington church. This church is next to an ancient road which linked the abbey at Minster on the Isle of Thanet with the abbey at Lyminge. The first Minster Abbey was built on the site of a church dedicated to St. Mary’s, and opposite to the minster across the now silted up Wantsum Channel was St. Mary the Virgin on Strand Street in Sandwich’s, the town’s oldest church and the site of a lost convent. From Sandwich the road went on through the settlements of Eastry, Nonington, Elham, and Lyminge, all of whose churches are dedicated to St. Mary the Virgin. Lyminge church was jointly dedicated to St. Mary and St. Ethelburgha, founder of the abbey there. This ancient road was of some importance into the early twentieth century, the section of road from Nonington to Lyminge and beyond was included in plans to evacuate the inhabitants of Nonington in the event of a German invasion of England during the early part of the First World War, some eleven hundred years later. The Ancient Manor of Oesewalum-much revised. Also: Where was Oesewalum? 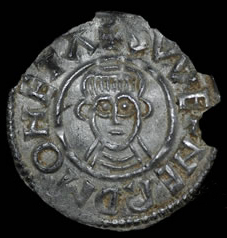 Towards the end of the 8th century Oesewalum, or at least a some property there, was held by Earl Aldberht (also: Ealdbeorht, Ealdberht), and his sister, Selethryth (also: Seleðryth ,Seleðryð), Abbess of Minster on Thanet and Southminster (also:Suthminster-Lyminge Abbey at Lyminge in Kent), and was either inherited from their father, a Kentish noble and land-owner, or granted to them along with other extensive estates by King Offa of Mercia for their support in quelling a Kentish revolt against him during the mid-780′s. Aldbert is recorded on some documents as being a minister or advisor to Offa. 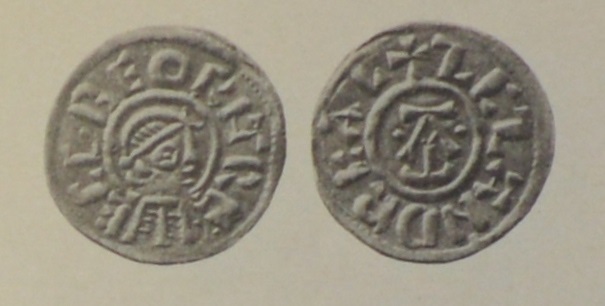 Wulfred, Archbishop of Canterbury, 805-832, issued his own coins, but unlike those of Æthelheard, his predecessor, they do not bear any reference to the king of Mercia in the legend. For political reasons Aldberht and Selethryth granted the property at Oesewalum to Wulfred (also Uulfred), the Archbishop of Canterbury, around 805 with the grant entailing the Archbishop’s possession of the manor after the deaths of both Aldberht and Selethryth. Selethryth is believed to have died soon after the grant, but Aldberht lived on for many years eventually entered the monastery at Folkestone and dying there around 820. After Aldberht’s death the deeds of Oesewalum were seized by Oswulf, a relative of Aldberht and Selethryth, who appears to have inherited their interests and later became an earldorman. Oswulf took the deeds to the Southminster Abbey and gave them to Cwoenthryth, who had succeeded Selethryth as Abbess of the Abbeys at Southminster and Minster. Cwoenthryth was the daughter of Coenwulf(also Cenwulf, Kenulf, Kenwulph), King of Mercia and overlord of Kent, who was at this time involved in a long running dispute with Archbishop Wulfred over whether laymen or clergy should control religious houses. She retained possession of Oesewalum for some four years or so under the protection of her father and uncle. Ceolwulf, Coenwulf’s brother, had succeeded to the Mercian throne in 821, but was overthrown in 823 by Beornwulf, who made Baldred (Bealdred), possibly one of his Mercian kinsmen, the King of Kent. This loss of protection was to prove detrimental to Cwoenthryth in her dispute with Wulfred. In 824 King Beornwulf agreed to resolve the dispute over ownership of various manors and estates between Cwoenthryth and Wulfred at the Council of Clofso (Cloveshoe). At the council Oesewalum, referred to in the subsequent charter as Oesuualun, was one of the estates returned to Wulfred which he continued to own until his death in 832. After Werhard’s will of 830 there are no further references known regarding Oesewalum. Christ Church was given the Manor of Wingham in the late 830’s by Æthelstan, made King of Kent in 839 by his father, King Æthelwulf of Wessex. At the time of the acquisition Werhard was “priest abbot” of Christ Church, and remained as such until his death sometime around 845 when his inherited property was passed on to Christ Church and the estate at Oesewalum was apparently absorbed into the Manor of Wingham and remained a part of it until the manor came into the possession of King Henry VIII some seven centuries later. I have previously postulated that Oesewalum was eventually divided into the late Anglo-Saxon period manors of Eswalt, Esewelle, and Soles at some time after the 830’s. This was mainly based on Wallenberg’s identification of Easole as originally having been Osewalum, but more in-depth study and thought has led me to now believe otherwise. I now believe that the “bank of the god[s]”, if that is indeed what Oesewalum did originally mean, referred to is the western slope of the dry valley which runs from Womenswold on past Aylesham and Nonington and on to Chillenden. Aerial photographs and Google Earth show that this east facing slope, from where could be observed both the rising and the setting of the sun throughout the year, has many archaeological features, including barrows, which date back to the Roman period and well beyond. Many of these features, and especially the barrows, would have still been very prominent when the early Jute and Anglo-Saxon settlers first moved into the area in the fifth and sixth centuries. It is therefore very possible that this bank was held in some awe by these new inhabitants and that they may have held some form of religious ceremonies or gatherings there. Excavations connected to the landscaping of parkland on this western slope in 1875 prior to the building of the new St. Alban’s Court mansion revealed fifteen burials believed at the time to be the remains of Britons killed by the Romans during their invasion and subsequent occupation of much of the British Isles, but were in fact Anglo-Saxons. In 2001 further archaeological excavations in the same area by the Dover Archaeology Group revealed further burials appearing to date from the seventh or eighth century. This is around the time that the name Oesewalum appears to have been used for this area. Other remains appear to have been discovered in the latter part of the nineteenth century in the vicinity of St. Mary’s Church. On the lower part of the slope just to the west of the church besides the road to Old Court is Bloody Bones Field and cut into the bank of the road was until recently Bloody Bones cart lodge, now sadly gone. Neither of these names appear on the 1859 Poor Law Commissioners map for the parish of Nonington so the name “Bloody Bones” would appear to originate from after this date. It may have come about with the discovery of an old burial ground connected to signs of settlement further up the slope. It has been suggested that it was the site of a battle but there is no evidence for this, and I think it’s just a presumption similar to that made regarding the 1875 St. Alban’s discovery. There are some references in the diaries of William Osmond Hammond of St. Alban’s Court to archaeological discoveries made on his property but none of them give enough details to definitely identify the discovery site or sites. Aerial photographs from the 1980’s reveal the site of a barrow and other large features on the slope above Bloody Bones Field and at the top of the slope the road to Old Court cuts through what appears to be an enclosure. If these remains did hold some religious significance to early Anglo-Saxon settles this may go some way to explain the growth of the initial Anglo-Saxon settlement into “Nunningitun” and the subsequent building of a chapel and then church dedicated to St. Mary the Virgin. There is a record of the church at “Nunningitun” [Nonington] in a survey of churches for Archbishop Lanfranc made just after his accession in 1070. It is recorded as being subsidiary to the mother church at “ad Wingeham”[at Wingham]. Nunningitun almost certainly means “the nuns manor, settlement, or farm”, in this case the nuns in question being the nuns of Minster and Suthminster Abbeys previously mentioned above. This indicates to me that this is the land referred to in the legal proceedings concerning the ownership of an estate of four sulungs of land “æt Oeswalum”, at Oesealum, in the early ninth century and that Nunningitun was the principle settlement of the manor from where it was administered. This dispute between Abbess Cwoenthryth and Archbishop Wulfred was settled in favour of the Archbishop who retained the estate until his death in 832. Nunningitun’s location on an ancient direct road from Sandwich to Lyminge also meant it could have been used for accommodation for people travelling between the abbeys at Minster in Thanet and Lyminge. There is also a direct route from the settlement via Old Court Hill to Christ Church’s manor at Adisham and then on to Christ Church in Canterbury. A sulung [Latin:solinus] was actually a unit of taxation used in Kent and was not a physical measurement of land. It was the amount of land which could be ploughed in a year by four pairs of oxen and was said to be equivalent to two hides. This gave a sulung a nominal area of 240 modern English acres, therefore four sulungs, or approximately eight hides, could amount to some 1,000-1,200 modern English acres depending on where the land in question was situated and how productive it was. Archbishop Wulfred left a large property portfolio to his kinsman, Werhard with the specific instruction that Werhard should in his turn leave the property to Christ Church, Canterbury. Werhard’s will, written in 830, recorded the details of charitable endowments founded by Wulfred to provide for the poor in various manors that he owned along with Wulfred’s instructions to continue with these endowments. The number of beneficiaries varied from manor to manor, at Oesewalum [written as Oesuualun in the will] seven poor people were to be beneficiaries under provisions which specified that “to each one be given daily to eat what may be suitably sufficient and annually to each poor person for clothing 26 pence”. In Werhard’s will Oesewalum was said to be ten hides of land. The will does not specify who these poor people were, so they could possibly be of any age. If the poor persons referred to were heads of household they would presumably be given enough food to feed their dependents making it possible that upwards of thirty-five people were in daily receipt of food. This would indicate that Oesewalum was a very productive estate and well able to supply the daily bounty to the poor, if this were not so then the food would have to be brought in from another estate. This is very unlikely as why would Wulfred go to so much trouble to recover an estate which could not feed seven paupers, and why make the bequest to feed them if the food had to be brought in? The Archbishop also required that a mass be celebrated for his soul every day and that on his anniversary 1,200 poor persons should each be given a loaf of bread, some cheese or butter and one penny. This annual bequest amounted to £.5.00 in total, a large sum at a time when an acre of land could be bought for four pence. Some years after Wulfred’s death Christ Church was given the Manor of Wingham by Æthelstan, made King of Kent in 839 by his father, King Æthelwulf of Wessex. 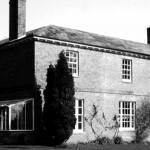 After Werhard’s will there are no further references known regarding Oesewalum so the assumption can be made that Werhard’s endowment was absorbed into the Manor of Wingham and remained a part of it until the manor came into the possession of King Henry VIII some seven centuries later. If Oesewalum was in fact the name given to the slope that I have previously described then these four sulungs could have later become the manors of Womenswold, Ackholt, and North and South Nonington which all lay on this slope and directly adjoining it and which were all sub-divisions of the Manor of Wingham. When Archbishop Peckham had his manors surveyed between 1283 and 1285 the area of above sub-manors amounted to a total of some 1,187 acres, compatible with Oesewalum’s four sulungs in 824 or the ten hides of land in Werhard’s will of 830. My conclusion is that Oesewalum was not, as I had for a long time previously believed, the basis for the manors recorded as Eswalt, Essewelle, and Soles in the Domesday Book of 1086 and were part of the holdings of Odo, Bishop of Bayeaux, who held them directly from his half-brother, King William I.
I think that it is possible Eswalt and Essewelle, which I believe adjoined Oesewalum on its eastern boundary, may derive their names from their locations. One possibility is that when the Manor of Wingham absorbed the estate at Oesewalum the name continued in use for the location in general and as both Eswalt and Essewelle are both respectively on and adjoining to the Oesewalum slope their names are simply derivations which evolved over two centuries or more into the names recorded in the Domesday Survey of 1086, but which pre-date it as they are the names by which these two manors were held from King Edward the Confessor. Essewelle later divided into the two manors Esol and Freydevill’ in the mid-thirteenth century. Another possibility is that both names have their origin in the Old English “east walu or wale” meaning east bank, as they are to the east of Oesewalum forming a continuous boundary on that side. Once again they evolved through the centuries until the Domesday survey. After the Abbey of St. Alban’s acquired Esol, having owned Eswalt since the mid-twelfth century, the joint manorial lands then became known as Esole or Easole and continued to be so until the present day.